The trailer of Sachin Karande's film Jack & Dil released today and has met with a stupendous response from the viewers. Calls have been pouring in from unsolicited quarters express their love for the trailer. Launching today the trailer packs in absolutely fascinating characters found chasing each other in a madcap investigation. The makers have revealed the four characters and a teaser poster earlier which met with a tremendous response. Excited with the interest in the movie JACK & DIL has now released the trailer which shows Jack ( Amit sadh) a wanna be detective is hired by Walia ( Arbaaz Khan) to spy on his wife Shilpa ( Sonal Chauhan). The trailer looks very promising and touted as the next sleeper hit of the year with its fresh & humorous treatment to a love triangle. 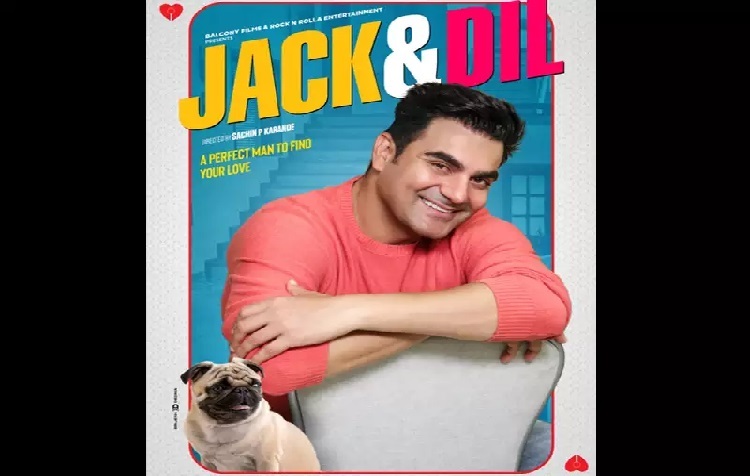 Jack and Dil is a scrumptious romantic comedy that will make you fall in love with its characters and the stupid loveable Jack is the high point in the film. Arbaaz Khan an ever doubting husband who typically is in daily rigger mole of today's wants and needs. Shilpa who is neglected painter wife wants nothing but love. The Amit Sadh Arbaaz Khan Sonal Chauhan starrer investigates the cute love triangle that leaves behind a few heartbreaks. Evelyn Sharma as Lara is a model & is in love with this wanna be a detective. She mesmerises the audience with her sheer presence on screen. Jack and Dil is Produced by Balcony Cinemas & Rock and Rolla Films is directed by Sachin Karande. The film is all set to release on 2nd Nov. 2018 all over India.